Parents' worst fears about trick or treating came true in one town in Oregon. Candy handed out on Halloween night by someone in the town of Aloha, Oregon, tested positive for methamphetamine, according to the Washington County Sheriff's Office. A couple and their children went trick-or-treating on Halloween night, and the parents ingested Sour Patch Kids the next day. That's when they began to feel sick and alerted authorities. The parents, who have not been identified, said they believed the candy was wrapped when they opened it. 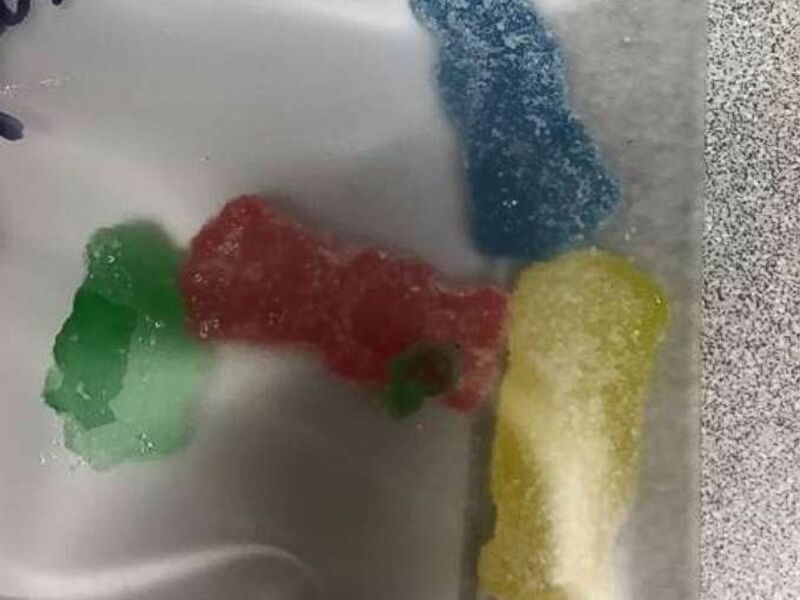 "Deputies conducted field tests on the gummy candy, which tested positive for the presence of methamphetamine," the sheriff's office said in a statement. "The candy was seized and placed into evidence." They are not sure which house they collected the Sour Patch Kids from, and police are conducting an investigation. Authorities in Washington County, Ore., say Sour Patch Kids one trick or treater was given on Oct. 31, 2018, tested positive for methamphetamine. The parents were taken to the hospital as a precaution, but no kids ate the tainted candy. Authorities actually warned parents in the town not to throw out the candy, but instead preserve it as evidence. "Leave it be. Don't throw it away. We want you to leave it just as you have found it if you think it's been tampered with," Washington County Sheriff's Office Det. Mark Polovny told Portland ABC affiliate KATU. Officials said no one else in the town reported getting sick from any candy. The sheriff's office said they released the information "out of an abundance of caution." Aloha is a suburb of Portland, about 20 minutes west of downtown.